In general, I don't like to use the phrase "natural health alternatives" when describing natural health and healing modalities and principles. Why? Because that implies it is inferior or secondary, which is not true. The only reason why natural health is considered "alternative" is because conventional drug medicine is the authority today. However, since it is what most people are familiar with, I will use the phrase "natural health alternatives" interchangeably with "natural health and healing", which is actually my preferred phrase. A word of caution here - this page is rather long, so do be prepared for that. Natural health alternatives harness the human body's amazing ability to keep well and heal itself of almost any condition. I view natural health and healing and natural health alternatives as having two main aims - the first a more general one, i.e. the attainment of good health; and the second a more specific one, i.e. the tackling of particular ailments, diseases and conditions. Both these aims can be achieved via two main elements, i.e. a series of natural and good health habits , as well as the use of specific natural health remedies, cures, protocols and methods (for information on herb remedies and herbal cures, click here instead ). Natural health and healing's core belief is that our bodies have the blueprint for good health, even perfect health, and we just need to create and provide the right conditions, the right "terrain", so-to-speak, for our bodies to carry out their work. having a positive attitude, outlook and mindset. This is rarely emphasized but very important. If you think this is too simple or too good to be true, then think back to the last time you had a cut or a bruise. Did you have to "instruct" your body on what to do, or manually use skin cells to patch up or sew up the wound? No. Your body knew what to do, and could do its job as long as it had the right tools, for example the white blood cells to kill the germs infecting the wound, the right nutrients to build new skin, and good circulation to bring these elements to the injured area. Now, this philosophy applies to all kinds of disease, even dangerous ones. Of course, the more serious a condition, then the more effort one would have to put into making changes to one's lifestyle as well as to carrying out healing routines. Natural health alternatives are mostly simple, effective and can be done by everyone, often even at home. However, unless you have some previous knowledge on the subject, much of the information on natural health given on this website will probably be new to you. In fact, it will often CONTRADICT the mainstream opinion - what people think, what the media reports, and what doctors tell you. Why is that so? Explaining this point can take quite a few pages on its own. Basically, based on its fundamental philosophy and core principles, natural health alternatives are of a completely different school of thought, and they operate very differently from the mainstream or common viewpoint, which includes that of conventional medicine as we know today. In fact, in explaining what natural health alternatives are about, I find that describing these differences is a very good starting point in giving a good overall picture. In gist, these differences are explained below. They are also listed and summarized, for quick reference, on the page on natural health principles. In addition, they are elaborated in more detail on individual pages, which are accessible either via links right at the bottom of this page, or via links within the explanations below. Each of these points are quite basic, yet also very important. Achieving True & Ultimate Healing - Conventional medicine / common opinion is usually interested in quick fixes, immediate solutions. This explains the current pill-popping and body-cutting culture of the first world today. If one is low on HormoneX, and a doctor prescribes HormoneX in the form of a drug, is the real underlying problem solved? No. The real problem is that a certain organ is not functioning at peak performance. In fact, by giving the body HormoneX, over time, that particular organ might produce even less Hormone X. Natural health alternatives are interested in restoring the body to a state of health, often over an extended period of time. In other words, natural health alternatives are interested in TRUE AND ULTIMATE HEALING, executed from within by the body itself. This goes far deeper than what is offered by doctors in clinics and hospitals. Dealing With What Causes Disease - tackling root causes - Conventional medicine / common opinion deals with symptoms, and usually only manages diseases without actually effecting any cure; it is interested in taking away pain or discomfort as quickly as possible. Fever, inflammation, swelling of tonsils and lymph nodes, a runny nose, tumors, headaches - these are all symptoms of deeper underlying issues of the body. In fact, such symptoms are often intelligent healing reactions created by one's immune system, but conventional medicine / common opinion tries to get rid of them. Suppressing symptoms interferes with the process of healing and harms the body in the long run. It violates what the body is trying to do to heal itself and creates an internal environment for disease to thrive. It creates new problems in the future. Natural health alternatives are interested in tackling the root causes of diseases in order to allow and aid the body in healing itself. Symptoms are often allowed to run themselves out; in fact, healing symptoms are sometimes deliberately created to further help the body recover. Overall Wellbeing and Health - Conventional medicine / common opinion aims to attack and kill disease, and it often becomes so engrossed in dealing with what it deems as a disease or condition, that it forgets the main purpose of healthcare - the health and wellbeing of a person. For example, in the case of cancer, it tries so hard to cut, poison or burn a tumor out that the poor patient often ends up suffering very badly and then dying anyway. In the arena of natural health alternatives, the fundamental basis is NOT to attack, kill or remove disease, but to provide the right circumstances to get a person as healthy as possible, and let his or her body decide on how to heal itself. Natural health alternatives look to the overall wellbeing and health of a person; in the example of cancer, it is not the worst thing if a tumor remains in place, as long as the treated person remains alive and well. First Do No Harm - in harmony with how the human body works - Conventional medicine / common opinion methods almost always do more harm to the body in the long run. For example, if you suppress a runny rose or a cough, you are denying your body the opportunity to get rid of unwanted chemicals, particles or organisms; if you suppress a fever, you are stopping your body's attempt to kill unwanted invaders. So, where do these unwanted enemies go? They remain in your body, doing more harm. Worse, over time, your body may give up or forget how to create a cough or a fever; i.e. your immune system gets damaged. In addition, a sick person's body is already weak and loaded with toxins and impurities, yet drugs, which are poisons for the body to process, are taken, thereby increasing the toxic load on the body - in the long run, it then becomes harder to effect a cure. These methods violate the Hippocratic Oath of "Do No Harm". One of natural health alternatives' core mental models is not to harm the body in any way. Natural health alternatives always seek to first do no harm and to WORK WITH the body to heal itself, for the body has an innate wisdom and ability for self-preservation, to keep well and GET well. One thing here to note, is that in working with the body to heal itself, one's condition sometimes has to become worse before turning for the better. This is sometimes termed a "healing reaction" or a "detox reaction", and is due to the body's attempts to clean, detoxify and heal itself. Definition of Holistic Health - dealing with the body as a whole - Conventional medicine / common opinion tends to treat the body as separate parts, and thus tends to de-link certain causes and effects. For example, if one has a headache, there must be something wrong with one's head or brain, so that part and that part alone is treated; if one grows a lung tumor, it is a lung problem, and the lung is treated accordingly; the headache and lung tumor are not viewed as caused by weaknesses in other parts of the body. Natural health alternatives view the human body as a whole, intrinsically linked in many ways, most of which we do not even understand. So, if one grows a lung tumor, there are many contributing factors, which could include an impaired liver, a constipated colon, weak kidneys, poor oxygenation of cells, lack of exercise, Vitamin D deficiency, etc, all of which must be addressed in some way for healing to take place. Weak kidneys could be caused by poor liver function. Our body systems are highly interlinked! Thus, holistic healing is very important because nothing works all by itself. It is difficult to effect permanent, long-lasting improvements unless one makes changes to one's diet and lifestyle. For example, you can't stuff yourself with fast food like there's no tomorrow, drink cartons of alcohol and smoke packets of cigarettes, and expect to heal and be well in a matter of days after taking a handful of herbs! It takes a long time for your body to break down, and it will also take some time for healing to take place. In using natural health alternatives for healing, it is important to be holistic because we can never be sure WHY a particular part of the body is weak - it is often caused by weaknesses in OTHER parts of the body. In addition, another great advantage of using multiple strategies is that they often have a synergistic effect e.g. two herbs are more powerful when used together as compared to the sum of their individual effectiveness, or strengthening one body system also leading to the improvement of another system, or a particular enzyme helping in the assimilation of a certain vitamin, etc. Definition of Holistic Health - dealing with the non-physical aspects - Conventional medicine / common opinion tends to ignore the emotional, mental and spiritual aspects of a person. Treatment given by a medical doctor or in a conventional hospital rarely includes counseling, prayer, meditation and the addressing of possible emotional trauma. Natural health alternatives recognize that emotional, mental and spiritual issues play a critical role in causing disease and thus must be addressed in order for healing to take place. It is worth reiterating the importance of holistic healing - nothing works on its own, and it's difficult to be well physically when one has a negative mental outlook or unresolved emotional issues, for what we think and feel can cause disease. Natural Health Healing is Usually Free or Relatively Inexpensive - Conventional medicine / common opinion is profit-driven. Drug companies provide funding to hospitals, universities, medical journals, and even to the media and government agencies. They thus control many aspects of medical care, including what is taught to medical doctors, what methods medical doctors are allowed to use and prescribe, what studies are conducted, which studies are publicized, what is written in medical journals, what is legal medical practice and what is not, etc. And these companies are basically profit (i.e. money) driven. This means there is a serious conflict of interest in medical care in the first world today, whereby many legal and mainstream treatments and drugs, despite being very expensive but often ineffective and even dangerous, are continually used. Natural health alternatives, on the other hand, are more interested in the overall wellbeing of human beings. Many natural health alternatives, although much more effective, are free, or at least, much cheaper than drugs and surgeries. And, don't forget, many drugs are made based on herbs in the first place. How Holistic Healing Works - applying the methods, sometimes without knowing how they work - Conventional medicine / common opinion wants to know how things work. This explains all the "scientific" experiments and double-blind studies. It is also always trying to find a SPECIFIC cure for a particular disease, which often does NOT exist. Natural health alternatives are interested in what works, and applying it to achieve the best results. Often, it uses information and methods which have been known and used by human beings for thousands of years, and sometimes can be derived simply through basic common sense. In reality, human beings know very, very little of how the human body actually works and what goes on in there, so it is very difficult to try and isolate specific substances and causes and link them to their effects, or to try to totally understand how certain processes in the body work. Believing There Aren't Incurable Diseases - Conventional medicine / common opinion says many diseases are incurable. Cancer, arthritis, kidney disease, multiple sclerosis, etc,.. the list goes on. One major reason why it is unable to find cures for so many diseases is because it is always trying to locate a magic bullet, a specific substance or chemical which would wipe that disease away when taken in a pill. This is never going to happen, because most chronic conditions have multiple causes, and thus must be addressed in a holistic manner. Natural health and healing believes that there are NO incurable diseases. Natural health believes that our bodies have the blueprint for perfect health, and if there is still enough time (i.e. a person is not hours away from death), and the right environment and conditions are provided, the body's immune system CAN heal it of almost anything. Of course, multiple strategies and changes, forming part of a holistic approach, must be taken. Imagine, a person exposed to poor modern day living habits or, more extremely, to toxic radiation from a nuclear plant or leak takes years, even decades, to develop cancer or to have deformed children. Can you imagine how powerful our immune systems are, and how much they can adapt to changing conditions? We just need to give it some help, to restore our health. Believe in your body! This is a really important point, so I will repeat it again - in the world of natural health and healing, THERE ARE NO INCURABLE DISEASES. This fact has been proven again and again by thousands of people worldwide who were declared terminally ill but went on to live long, healthy lives. Taking Personal Responsibility for Health - Conventional medicine / common opinion is of the view that a doctor is the one who knows his stuff, and he will tell you what to do, and you should obey him; in other words, the doctor is the healer. Doing otherwise is considered very foolish. However, medical doctors are well-trained in disease control and management, but often know very little about health itself. Further, statistics show that medical doctors in the United States live much shorter lives than the average American; if they can't help themselves, I really wonder how much they can help sick people. On the other hand, natural health and healing is an educational experience - a person has to learn how to work with and help his or her own body heal itself. In embracing natural health alternatives, every person has to TAKE RESPONSIBILITY for his or her own health. Thus, in embracing natural health alternatives, a person plays a very key role in his or her own healing. This involves a certain degree of trial and error and experimentation, within reasonable limits. After all, there isn't a one-size-fits-all solution to everything, and you are the one who knows your body the best. Please do note, however, that taking personal responsibility does NOT mean doing everything alone, with no proper basis or method - it is always advisable to seek the advice and opinions of naturopathic doctors, herbalists, nutritionists, medical doctors who embrace natural health modalities, as well as other like-minded people; it is also definitely necessary to read up and learn as much as one can about natural health. But do remember to take everything you read, hear or find out about with a pinch of salt. Bear in mind that nobody knows everything, and that everyone is biased and has their own vested interests. Therefore, probably nobody is telling you the full truth - not doctors, not naturopaths, and especially not salesmen. Not even me! Do your own research, use your common sense and intuition, and exercise your personal judgment. The ultimate choices have to be made by you, and only you. Now, take a look around you. The healthiest people in this world - including cancer survivors - are almost always those who take responsibility for their own health, and live lives which are markedly different from the majority. As mentioned right at the start of this article, strictly speaking, when describing natural health modalities, I don't like to use the phrase "natural health alternatives". This is because "alternative" implies inferiority or non-acceptance, something which I totally disagree with. On the contrary, I feel that, in the realm of chronic and degenerative diseases, natural health is far superior to drugs and many of modern medicine's mindless methods. In my opinion, perhaps the only thing that modern medicine is better in is emergency situations; I'll have no qualms rushing to a hospital if I'm hit by a bus or shot using a gun. Unfortunately, as long as there is money to be made, there will be frauds, cheats and exaggerated claims; this applies to every single arena, including modern medicine, politics, religion, and even the social sector. Much of the good name of natural and "alternative" health has thus been spoiled and tainted by such opportunists. But, make no mistake, many of the good things one can do to naturally improve one's health, can be done for free. No one, for example, can make a cent off you by asking you to drink more water, or exercise more. Isn't Natural Health unscientific or unproven? One of the greatest criticisms which can be leveled at natural health alternatives is that they are "not scientific", not scientific enough, or unproven. In other words, there is a lack of credible research, studies and statistics to back them up. To be honest, this is often true. But there are reasons. Firstly, natural health alternatives rely a lot on common sense. Somehow, some human beings believe they are smarter than God himself, so much so that common sense is often thrown out of the window. For example, I simply cannot believe it when I read supposed expert opinions or research which claim that diet and lifestyle are not causes of cancer and some other serious diseases. I find this incredulous. This is a very dangerous viewpoint to spread, because it absolves individuals of personal responsibility, and promotes self-destroying and defeatist mindsets such as "too bad, just my luck, there is nothing I could have done to prevent or cure this anyway". To be honest, I feel I don't even have to explain how flawed such opinions are. Secondly, natural health alternatives operate very much based on known or carried down information, which is not presented in the way that modern science demands "scientific" information, studies or research be carried out. "Science", you see, has been defined by the modern scientific community, and modern medicine as we know today has only been around for a couple of centuries at most. Just because it is the conventional authority today does not mean it can declare everything from the past as "unscientific" or "quackery"; it cannot just wipe out thousands of years of experimentation, documentation, practice and knowledge just like that. Modern medicine and science, contrary to what it tries to portray and what many believe, is really not that smart. This fact is painfully obvious. As mentioned earlier, modern medicine is profit-driven. It's not going to be possible to patent water or sunlight, or make them into drugs. It is thus going to be difficult to have large-scale "scientific" studies carried out, outlining the benefits of drinking more water. Such studies are expensive, and there has to be a way for the funders of such studies, most of which are drug companies, to make their money back, and more. Another reason is that natural health and healing involves making holistic changes to one's lifestyle. This makes things impossible to evaluate because modern medicine always wants to know which specific substance it was which did what. Quite frankly, when I make 20 to 30 changes to my life and, slowly but surely, my diseases go away and I become healthier and healthier, I don't really care which method or food it was which contributed how much to which improvements. I'm just healthy, and very happy about it. Even if only one factor were being evaluated, it is impossible to design and execute a perfectly controlled experiment. Firstly, it is simply not possible to hold all other factors constant i.e. ceteris paribus. In addition, it frequently occurs that when a particular drug is evaluated for a particular disease, e.g. lung cancer, the patient dies halfway through due to another condition e.g. heart failure. Is this case then considered as part of the "failed" group? Well, that depends on who is reporting the results. In evaluating natural health alternatives, controlled studies are increasingly being used, particularly outcomes studies. More significantly, though, the observation of the healing process through time is carried out by naturopathic or holistic healers. Broadly speaking, the safety and efficacy of many natural health alternatives have been proven through generations of wide use by various populations of the world. And further living proof is offered by the thousands of people worldwide who have been cured of supposedly terminal or incurable conditions, and those who are reveling in their new-found healthy lives. Some would say these are only anecdotal information. But, to me, they are just information - information of sick people getting well! Anecdotal they might be, but, these, to me, are better proof than any results presented by present-day scientific studies. Adopting natural health and healing and natural health alternatives is like sowing seeds. You pick a spot with sufficient air and sunshine, dig a hole in the ground, put the seeds in, cover back the soil, water it regularly, and, presto, you get yourself a big tree in time to come. Do you know HOW it happened? Not really. Do you NEED to know? Not really, either. We just need to know that that is the way things are, designed by God / Nature. We know that when a seed is sown, and all the conditions are right, more often than not (not always, for there are no guarantees in life - but often enough), a tree will grow. And the tree will one day bear fruits, themselves containing thousands of new seeds! We also know that if we sow a leaf, a vitamin tablet, or a piece of chicken meat or bone, nothing will grow. So, is any of the seed, air, sunshine, soil nutrients or water the magic bullet for growing a tree, or the cure for a non-growing seed? Well, on the one hand, no - none of these factors on its own would do any good. But on the other hand, yes! - if these factors are used TOGETHER, you get a tree! Similarly, oxygen, sunshine, Vitamin C, carotenes, selenium, vegetables, water, etc - none of these are THE special ingredient for health or the "cure" for cancer and other diseases per se, but instead they are all important and form part of a wider protocol. So then, to create health using natural health alternatives, you just need to know what is needed, and then do them, without really needing to know how or why. It's really that simple. And it's not about doctors or anyone curing or healing you; it's about your body healing itself. When the conditions are right, the big and beautiful tree of health will manifest and flourish! Proponents of natural health alternatives believe that God and Nature are infinitely more intelligent than human beings. We believe in the design of God and / or Nature, that many substances and methods have been deliberately created and placed on Earth to help us achieve optimal physical health. These include simple foods, sunshine, herbs, etc. We thus believe in working in harmony with our bodies and with Nature. And, since God cannot be scientifically proven, thus, in embracing natural health alternatives / natural health and healing, a dose of common sense and a leap of faith are required. In summary, remember that in the arena of natural health alternatives, the fundamental basis is NOT to attack, kill or remove disease, but to provide the right circumstances to get a person as healthy as possible, and let his or her body decide on how to heal itself. The basic theory here is to give the body what it requires to take care of itself (e.g. right nutrition, water, rest, etc) and remove what hampers its work (e.g. chemical toxins, stress, parasites). Many times this is all that is needed to reverse disease and promote good health. If more is required, then one can look into more specific natural health and healing methods. When the right circumstances are put in place, the right methods used and there is still enough time, the human body has the innate ability to heal itself of almost ANYTHING. One very important point, though, is that each of us has to take PERSONAL RESPONSIBILITY, and make the necessary changes to our own lives. Yes, the volume of information out there can make things confusing. In fact, many experts disagree on things. The crucial thing, however, is to learn to use your personal judgment and TAKE CHARGE, and then listen to what your body tells you. LISTEN TO YOUR BODY! It is the best gauge of your state of health. So, do natural health and healing and natural health alternatives hold all the answers, then? Well, yes and no. There are NO guarantees to getting well. In fact, there are no guarantees in anything in life. For a person to develop a chronic, degenerative disease, his or her body must already have been out of whack for some time. What has been found to be VERY important is the attitude and mindset of the person. As with everything else in life, if you are surrounding yourself and your mind with negativity, then you are almost destined to fail. And of course, the more dangerous your disease, the more dedication, positive thinking and support you are going to need, not to mention a wider arsenal of natural health and healing weapons. Ultimately, only God holds all the answers. Have a great and healthy life ahead! To find out more about Natural Health Alternatives / Natural Health and Healing, you may want to read the following pages. 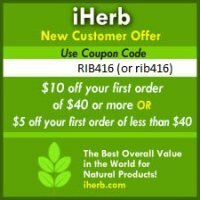 What is "natural health" as talked about on this site? Click here to read my attempt to define it. Further, here is my take on whether "natural health" and "alternative medicine" mean the exact same thing. For quick reference, click here to see the list and summary of the "natural health principles" described on this page. People often search for some 'secrets' to attain good health as well as to tackle specific ailments, diseases and conditions. Here is my view on "natural health secrets". What's the big deal about natural health, anyway? Read about some benefits of embracing and practising natural health. If you have chosen to embrace natural health, or are considering whether to do so, here are some natural health tips to help you along. Do you have any thoughts, experiences, knowledge and information on natural health alternatives or natural health and healing which would be useful to our other readers? These could include topics such as what is natural health, alternative medicine, natural health principles, natural health secrets, natural health benefits, natural health tips, ultimate healing, what causes disease, wellbeing, the Hippocratic principle of "first do no harm", holistic healing, incurable diseases, personal responsibility for health, and more. We invite you to share your health knowledge and experiences on natural health alternatives / natural health and healing here.